Wilbur is a fuzzy, peach-coloured pig with a smoother snout and trotters of the same colour. He has black button eyes and black embroidered nostrils. Wilbur was released on 31st October 2006. He is based on the character of the same name from the E. B. White book, Charlotte’s Web. Wilbur was released for the live action film that was based on the book of the same name. He was exclusive to Walmart and was included in a special gift set that contained both the Beanie Baby and a DVD of the 2006 film. 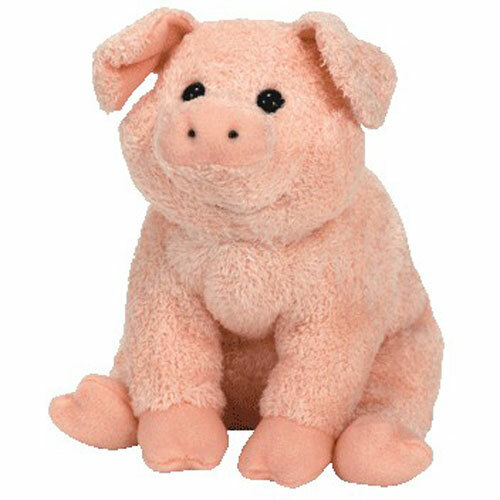 Wilbur is very similar in appearance to the 2007 Zodiac Pig Beanie Baby.